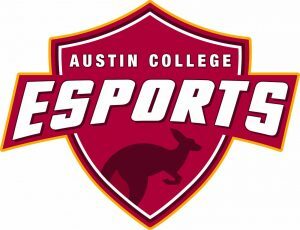 The Austin College esports team is on the road this weekend—traveling to Kerrville, Texas, where teams from six member schools will meet for the inaugural Southern Collegiate Athletic Conference esports Showdown, hosted on the Schreiner University campus. 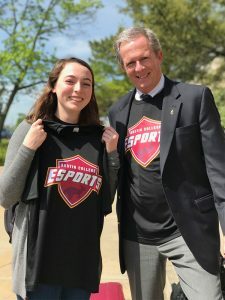 Many collegiate esports competitions focus entirely on League of Legends, but the SCAC Showdown teams will also compete in Overwatch, Fortnite, and Super Smash Bros Ultimate. The school that accumulates the most points (based on team finish) in the four different gaming competitions will be declared the league’s 2019 esports champion. Over 100 students and coaches are expected to participate in this event. Competition begins at 9 a.m. Saturday and continues with championship play on Sunday. View the championship preview. The Austin College team members that traveled for the competition, by game, are listed below. Logan Menocal ’20 of Plano, Texas. While the team revolves around gaming, it isn’t just for gamers. The Austin College program is designed to provide experiential learning through program leadership roles and the creation and production of videos, all of which are preparation for careers as writers, video editors, analysts, coaches, broadcasters, and more. Brett Boessen, associate professor of media studies, is faculty sponsor for the group.